I’m so happy to be featuring Nicole. She’s a brand spanking new mom blogger with a witty attitude! I love it! Below are her tips for not falling into the typical new blogger overwhelm. I launched my new parenting blog, Coffee and Carpool, literally last month. I jumped in with 2 feet and never looked back. No slow progression to get comfortable. I just cannon balled into it. And now, I’m kind of treading water. 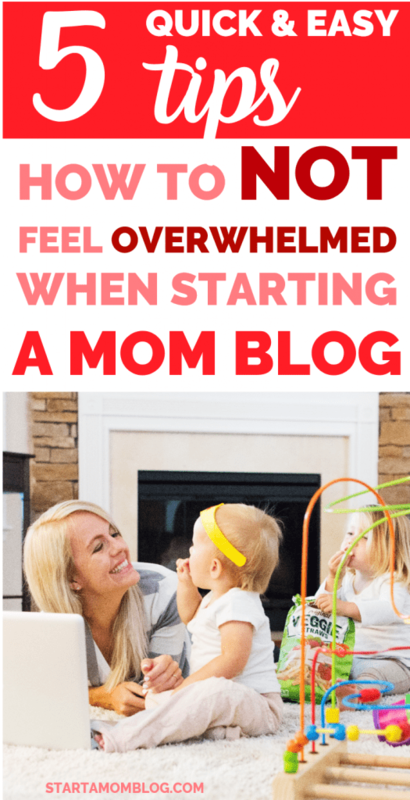 Because there is a gigantic learning curve when you start something new like a mom blog. It is overwhelming to realize just how much you don’t know. It is overwhelming to list out how much you have to do just to get started, while still doing everything you are responsible for in real life. See, I’ve been a stay at home mom for ten years and an elementary school teacher for 7 years before that. I’ve been writing and editing to bring in a side income. These are the things that I’m really good at. So naturally, I thought, I should start a business that allows me to just write. I should start a blog. But now that I’m doing it, I realized I only actually write about 20% of the time I work on my blog. What I’ve really had to become is a marketer, a salesperson, a coder, a graphic designer, a photographer, a networker, and a social media strategist. All skills way out of my comfort zone and wheelhouse. So I’m learning as I go, trying to be a sponge in the blogging world. Trying to keep my head above water. And I always considered myself pretty smart. But the list of words and terms I never knew I never knew is astounding: SEO, juicy posts, sticky posts, Tailwind tribes, shadowbanned, lead magnets, evergreen, avatar, crosspost, funneling… the list literally goes on and on. Quick Tip from Suzi: If you’re overwhelmed and need help starting your blog, enroll in the step by step Blog by Number course for moms! Truth be told, I still don’t know what half of them really mean. All of this can lead new bloggers to stop before we really ever begin. The overwhelming feelings can be all consuming. The fear of screwing up or missing something vital can be paralyzing. Some days, it can feel like it’s easier to do nothing. But I started my mom blog for a reason. And so did you. So there are 5 tricks to keep moving forward when you get that crazy nervous feeling in the pit of your stomach that maybe, just maybe you have absolutely no clue what you’re doing as a new business owner. The only thing I hate more than not knowing something is when other people know that I don’t know something. I’ve always hated asking other people for help. I thought it was a sign of weakness. But asking for help actually shows strength. You will be confident and secure in the fact that you can and will get better at blogging if you ask the right people the right questions. Keep a running list of questions that you want the answers to and when the opportunity appears, ask away. Reach out in Facebook blogger groups. Ask questions when bloggers go live or when they post about the topic you’re interested in. It’s okay to not know the answers. It’s okay to need help. This is straight from the two people I ask the most help from. And they’re right on. It is always better to do something, anything—even if it’s not perfect—than to wait longer than you need. I dragged my feet on my first newsletter. I had a whopping 8 subscribers, but I had promised a newsletter with a sneak peek to my next blog post. Since I wanted to publish my blog post the next day, I was on a tight countdown to get my newsletter written, edited, and sent. It was not my best work to say the least, and I’m sure I’ll look back on it in a year’s time and cringe. But for now, I had to get it out. I had to progress. The newsletter wasn’t perfect, but it was done. And that was exactly what I needed to do. Quick Tip from Suzi: If you need help building your email list, here are my best tips and videos on how to build your email list for beginners. Look up words or terms you are unfamiliar with when you have a few spare minutes and soak up some new knowledge. Want to know about rich pins or plugins or widgets? Yeah, me too. I turn to Pinterest. There are a million and one pins about everything you need to know. Create a secret Pinterest board and pin all the great blogging tips you want to read later. Browse it all, then take it with a grain of salt. Not everyone knows what they’re talking about. Not everyone has your best interests at heart. Follow people like Suzi who are really here to help you succeed. Quick Tip from Suzi: Aww, thank you Nicole!! Here is my Pinterest board full of helpful ideas! As you learn more and realize how much more you actually need to still learn, you’ll keep adding pages. I have literally filled up one entire notebook and I’m on my second one. Because, as I read blog posts or get information from Facebook groups, newsletters, or courses, I add to the notebook. And when I need the answer, I go check the notebook. No more little scraps of paper all over my desk. No more notes getting lost in the shuffle. If I have my notebook with me, I can work anywhere. Quick Tip from Suzi: It will help you organize your thoughts if you know what type of blog you’re starting. 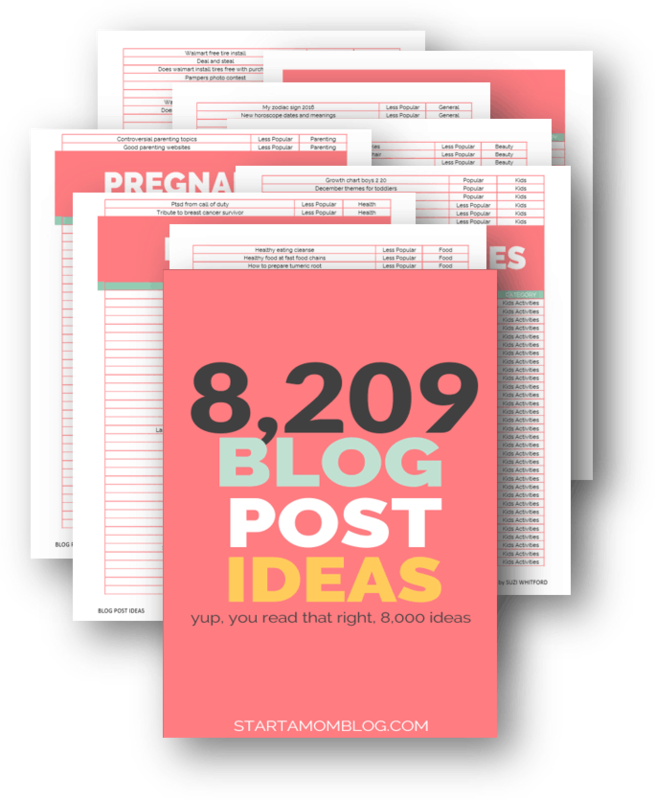 Use the Blog Strategy Seeker to find out what type of blog works best for you! 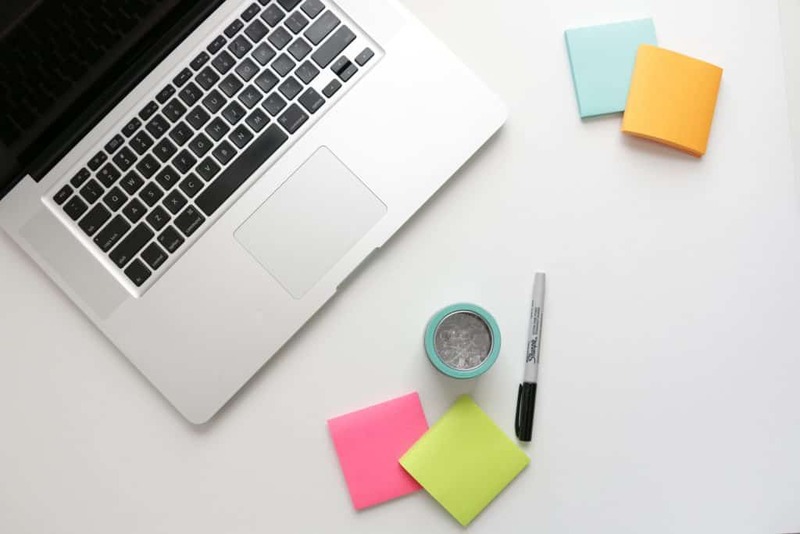 When you start realizing everything that goes into creating a website and starting a blog, the to do lists can get pretty daunting. But if you break down the to do list into categories, it will seem more manageable. And then when you finish it, cross it off your list. There’s nothing more cathartic than finishing an action item and putting a big line through it. Quick Tip from Suzi: When I just started blogging I needed to see everything visually. 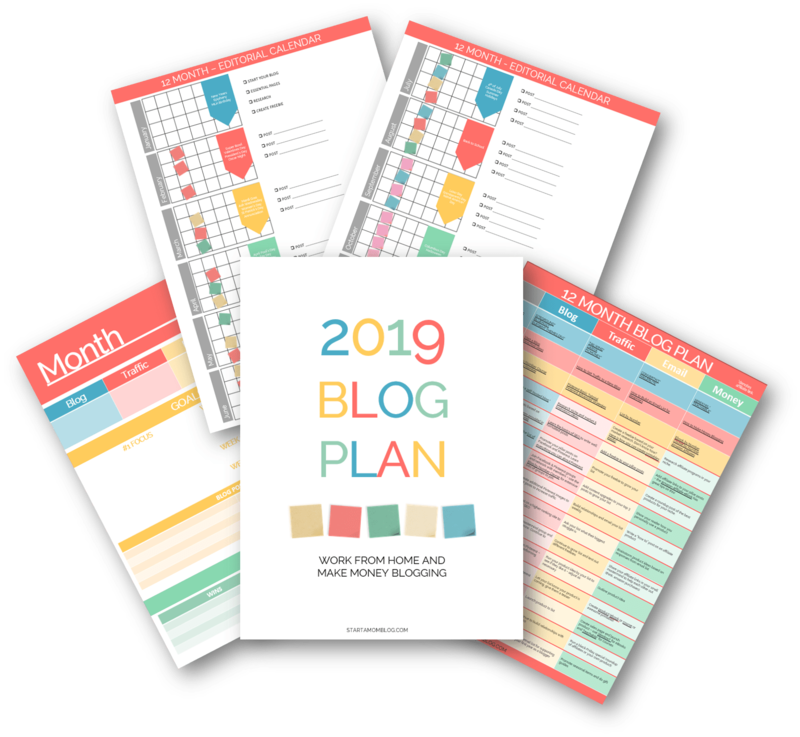 It really helped me plan my blog and build it into a success quickly. Here is my Blog Vision Board that helped organize my thoughts, plan my posts and fill me with inspiration! Listen, there are hundreds of blog posts and pins about how easy it is to start a blog in less than 15 minutes. And I suppose you could be up and running in that time. But if you’re starting a business, if you want to reach a wide audience, if your goal is to add value to your followers, it’s going to take a heck of a lot longer than 15 minutes to get started. The trick is just doing the next thing you need to do. And then the next. And you have a ton of fellow mom bloggers cheering you on. Nicole is a recovering elementary school teacher, turned stay at home mom to three loud, busy, and surprisingly determined kids. She spends most of her days living out of her car driving to and from kids’ activities and schools; and while she wouldn’t trade it for the world, some days she just, for the love of everything, needs a break after running around town. For her, that usually involves coffee. Or let’s be honest, a cocktail. 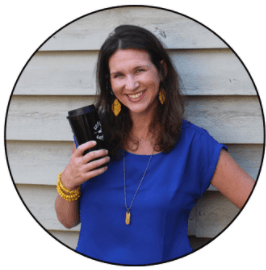 She writes at her blog Coffee and Carpool and touches on Mom Hacks, School Success Tips, Support for Parents, Special Needs Moms, and Food Allergy Moms. Her latest mom hack is how to organize the insanely large stacks of papers that come home from school. To get her free guide so you can take back your kitchen countertops. Hi this post sums me up perfectly. I am preparing to launch my blog in November. The work load is mountainous. And i do feel overwhemed. 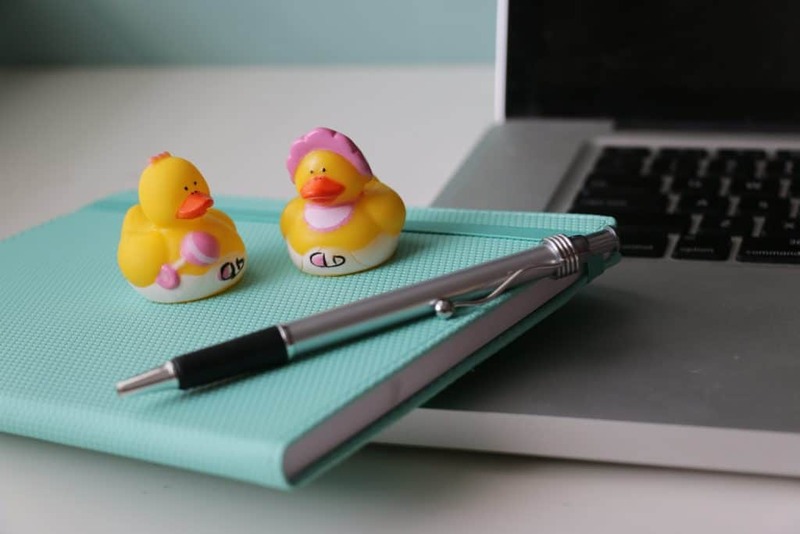 I love your idea of the notebook – i have notes on pages and slips of paper which you then have to go through to find stuff. I got some great ideas to use. Also did Suzi’s course Blog by Numbers.  Wonderful resource for new bloggers. Thank you for a very helpful article. I’m so glad!!! Good luck with your launch! My notebook saves me daily!!! Focusing on your “why” is so important!!! Good luck!! Great tips as it so easy to get Overwhelmed in the beginning. Hi Nicole (and Suzi) – I’m so glad to read this post. I started my blog about five months ago and I still feel so overwhelmed. I’m not gaining traffic and am still way negative on my investment. I did just take Suzi’s Start a Mom Blog course and I’m slowly working on things, but with a full time job it is easy to feel like I’m not making progress and see no light at the end of the tunnel. 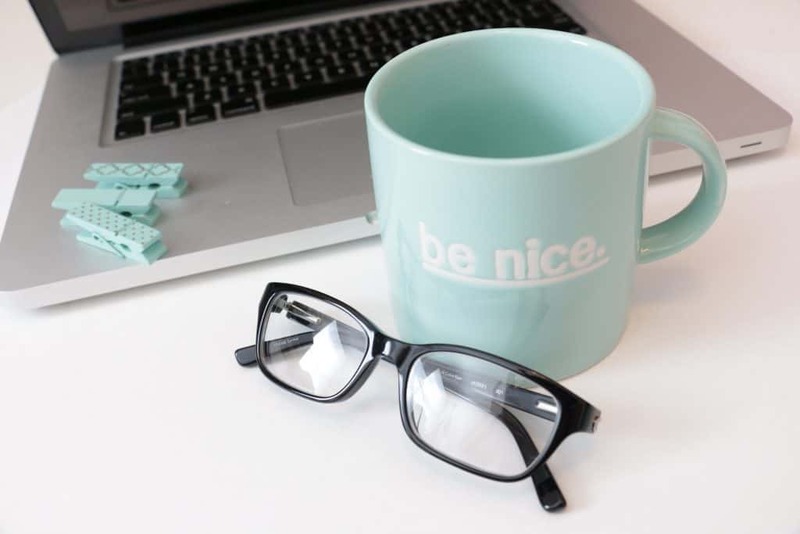 I love reading all the blogging success stories because it inspires me to keep going, but I equally love hearing that it isn’t all roses and sunshine from day one for everyone! Thanks for keeping me going!